Five of Duke’s ten worst defensive games have come in March…so far they have played five game this March. Arkansas is the only school in the SEC to neither make a bowl game nor the NCAA Tournament this season. It's conceivable that a Kansas run to the 2014 National Championship could consist of four games against opponents from their non-conference schedule. The Jayhawks could face New Mexico in the Third Round, Colorado or Florida in the Elite Eight, Villanova in the Final Four, and San Diego State or Duke in the National Championship game. The Jayhawks defeated New Mexico and Duke, but lost to Colorado, Florida, Villanova and San Diego State. It is possible that a Louisville run to the 2014 National Championship could consist of four games against opponents coached by either former assistants or former players of Rick Pitino. Kentucky’s No. 8 seed in the Midwest Region is the lowest seed a John Calipari-coached team has ever received. UVA is just the third team in the last 15 years to earn a #1 seed a season after competing in the NIT. 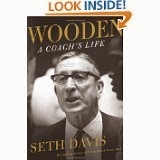 The other two were coached by Calipari. California, North Carolina, Ohio and Texas have four schools entered in the NCAA Tournament this year. 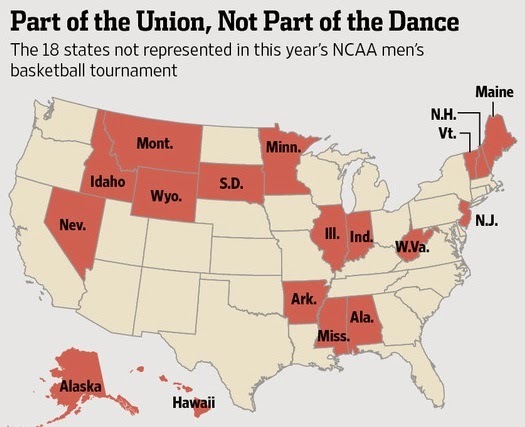 Illinois, like Indiana sends no team to the tournament. Harvard has a 2,755-mile trip from Boston to Spokane to face No. 5 seed Cincinnati. VCU's trip is not much shorter. It's just more than 2,630 miles from Richmond to San Diego. Duke’s trip to Raleigh is the shortest at 29 miles…Xavier goes just 46 miles. 25 consecutive years at the dance for Kansas. Duke is second on the list with 18 and Michigan State is third with 17. This is Kentucky's 53rd NCAA Tournament appearance, the most of any team in the nation. Three of UConn’s eight losses were to Louisville. Dayton has just three losses since January 25th---all to St. Joe’s. Oregon won eight in a row until losing to UCLA in the Pac-12 tournament. Tulsa went 4-9 before New Year's, but closed out by winning 11 in a row to take the Conference USA title. Not so fast: 1959 was the last time New Hampshire has had an NCAA team, while Maine has never had one. One more thing: Wisconsin is no stranger to early exits. Congratulations!!! You made it to the end. Celebrate by watching March Madness.